Our aim is total 'Preservation and Rehabilitation of the dental arch, so as to restore form and function'. 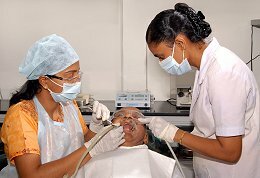 The patient here is a recipient of undivided attention right from the reception to the dental-chair and back home, with the Doctor - Patient relationship continuing even after the treatment schedule ceases. Every ailing tooth is treated painlessly with great expertise. 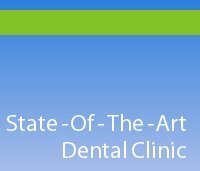 A multidisciplinary approach is used by a team of efficient dental specialist like a Cosmetic-Dentist, a Periodontist, an Implantologist, an Endodontist, an Orthodontist and an Oral and Maxillofacial Surgeon to provide excellent quality dental care. The best of equipments coupled with the latest of technology and a totally sterile work environment are the salient features of the practice. All this can be availed at affordable prices - ie almost on 1/10 the International charges.